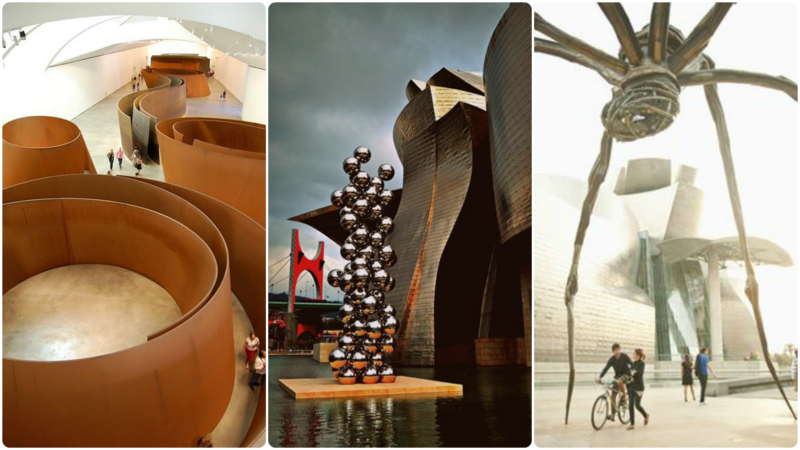 Today, 19th of October of 2017, Bilbao dresses up to celebrate the twentieth birthday of one of its main tourist and cultural attractions: the Guggenheim Museum. The celebration began last week with a show that brought together music and art from the German band Kraftwerk, a pioneer of electronic music. And it will continue throughout the following months with different activities under the motto Art changes everything. Concerts, exhibitions, dance and theater, talks, conferences and tributes, rehabilitation of works or open days for children and adults discover the museum. If you have not yet seen La materia del tiempo of Richard Serra, the boxes of Jorge Oteiza, the Fuente de fuego of Ives Klein or the multicolored Tulipanes of Jeff Koons, this is your chance. The great titanium building awaits you. Here you can consult the agenda with the different shows.